The quarter stuck to the blob of gum in the ashtray, the dime wedged between the driver’s seat cushions—these are the coins of Ronnie Shahar’s realm. 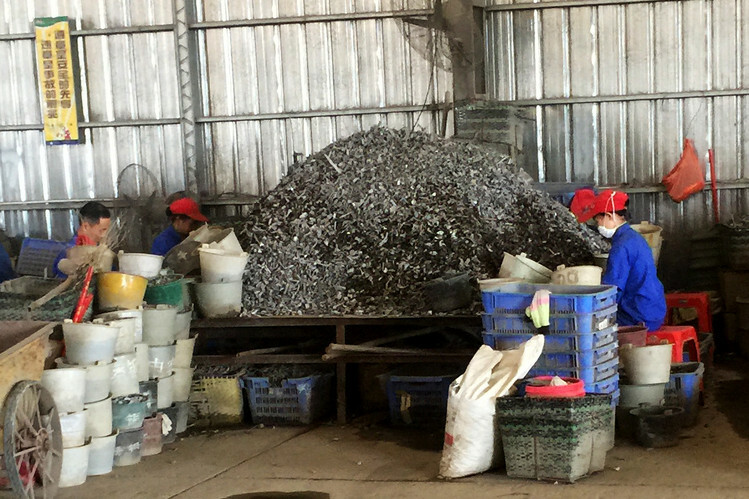 The U.S. ships hundreds of thousands of tons of scrap to China each year, much of it comprising the aluminum remains of broken-down vehicles that have been fed through industrial shredders. 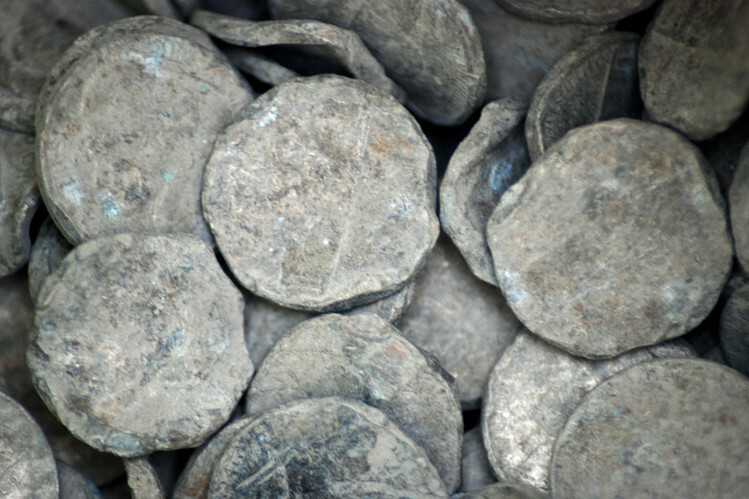 The scrap is so laden with coins, many of them battered beyond recognition, that a new industry has emerged to reclaim and repatriate them. Mr. Shahar, a 46-year-old entrepreneur, was among the first to realize the potential in pocket change more than 25 years ago. Today, he buys U.S. coins in bulk from Chinese salvage yards and exports them to his Oregon-based partner, who exchanges the coins at the U.S. Mint for a lump sum. The Mint redeems coins that are bent, burned, fused, chipped or otherwise uncountable by machine at nearly their face value, under a program established more than a century ago. The program has paid out more than $100 million since 2009, the year customs officials in Los Angeles noted a sharp increase in large coin shipments from China. The uptick was so sharp that federal law-enforcement officials have come to believe some of the dimes, quarters and half dollars arriving from the Far East are fakes. Mr. Shahar’s business was thriving until U.S. officials shut down the coin reimbursement program last year, detaining about $664,000 worth of his and his business partner’s coins, according to a lawsuit he filed earlier this year asking a judge to release them. While Mr. Shahar hasn’t been accused of wrongdoing, federal prosecutors have alleged three of his competitors imported counterfeit coins. Mr. Shahar, an Australian, said U.S. officials have simply underestimated the amount of money Americans consign to the trash heap, he said. And anyway, he said, it would be folly to make fake coins of such low value. A spokeswoman for the Justice Department declined to comment, as did a spokesman for the U.S. Mint. Mr. Shahar said he discovered the coin trade while traveling in Thailand​ in 1989. During a tour of a temple, ​the 19-year-old Mr. Shahar spotted tourists flipping coins into a wishing well. After the tour, the guide introduced him to a temple caretaker, who took him into a room filled with bags of coins sorted by country, Mr. Shahar recalled. Mr. Shahar was headed to London and planned to return to Australia, via Thailand, in​a month’s time. He and the caretaker made a deal. If Mr. Shahar agreed to take 6,000 one-pound coins with him to the U.K., exchange them for cash and bring the money back to the temple, he could keep 900 pounds for himself. “I thought, ‘This is something I could do so I could finance my travels,’ ” said Mr. Shahar. He began buying coins from other temples across Asia, and then from charities, secondhand stores and metal recyclers. These days, “he has contacts all around the world,” said Adam Youngs, who imports U.S. coins from Mr. Shahar through his company, Portland Mint. Mr. Shahar said he has developed coin sources in 25 countries, but much of his business drifted to China, amid its rise as a global metal recycler—a $50 billion industry in China, according to research firm IBISWorld. A vehicle donated or sold for scrap in the U.S. generally passes through a multimillion-dollar shredder that reduces it to fist-sized pieces of metal and plastic, according to Scott Horne, counsel for D.C.-based Institute of Scrap Recycling Industries. A conveyor system then sorts the pieces using technologies including electric currents, magnets and X-ray and infrared, said Mr. Horne, leaving behind a hash of aluminum, known in the industry as zorba. Inevitably, zorba is seeded with bits of other metals, including coins, which are too small for the systems to filter. “The Chinese figured out that they could handpick this material very efficiently and very cost effectively and segregate it even better than the machines,” Mr. Horne said. Mr. Horne recalled a visit a few years ago to a Chinese recycling plant, where he saw “a thousand women sitting there just picking like mad.” Each had a bucket for coins, he said. Chinese recyclers sell coins retrieved from the scrap to people like Mr. Shahar for 20% to 30% less than face value, according to Mr. Shahar and others in his industry. Under the U.S. Mint’s Mutilated Coin Redemption Program, established in 1911, the government pays a standard rate of $20 per pound for mutilated dimes, quarters and half dollars. Bulk coins shipments are hauled to one of two foundries on contract with the government. They melt the metal down to be made into new coins. Also the numbers didn’t add up, prosecutors wrote. Each vehicle exported to China as scrap would have had to contain an average of 746 coins or about $105 to account for the Mint’s reimbursements. The government lab report, obtained by the companies, showed silicon and aluminum present only in trace amounts—and that the control coins against which they were tested also contained trace amounts, according to Wealthy Max’s lawyers. America Naha and Wealthy Max, which are contesting the lawsuit, said their coins are genuine. The government has ignored other sources of coins, such as old washing machines and vending machines, they said. XRacer Sports agreed to settle the claims against it earlier this year without admitting wrongdoing, forfeiting $129,000 of the $220,000 the U.S. Mint owed it for mutilated coins. The company and its lawyers didn’t respond to requests for comment. A federal judge is expected to weigh the remaining claims at a hearing in May. Mr. Shahar, meanwhile, is waiting to cash in his detained coins and purchase thousands more that his suppliers have been piling up during the Mint​ program’s suspension.